A Room of One’s Own | Reader, I wrote this. Hours after finishing my last post, a group of time-traveling expatriates swooped in on a hippogriff and forced me to spend my entire summer doing the Charleston on a raft with Huck Finn as it sailed down the Thames. OK, I run six blogs. Two of them don’t count and should probably be deactivated from neglect–though I like throwing them in because six sounds more impressive than four–but the others are relatively legitimate and I think I became a little overwhelmed with all the media I had suddenly become in charge of. As a side note, I’d like to add that you can follow me at http://www.thethirdgreatemily.tumblr.com and sendintheelephants.wordpress.com. The first is my personal tumblr, and the other is a blog dedicated to mild commentary on absurdity in politics, which I run with my good friend, Jonathan. Anyway, I’m moving to Massachusetts tomorrow. I’ve been dropping in little unaffected lines like the one above all summer. For example, while getting my teeth cleaned, the receptionist asked if I would like to schedule my next appointment and I looked at her very plainly and said, “I’m moving to Boston,” and abruptly smiled. The whole thing is definitely very bizarre for me. Especially because FedEx dropped the ball, and the four boxes containing my entire life is sitting in a Connecticut warehouse. I’m moving in tomorrow but my stuff won’t be there until Tuesday, which I’m hoping will be an awesome conversation starter rather than turning me into the slightly off minimalist art student who only brought some clothes and a ceramic mug to college as an abstract criticism on society. Sorry–literature–right. 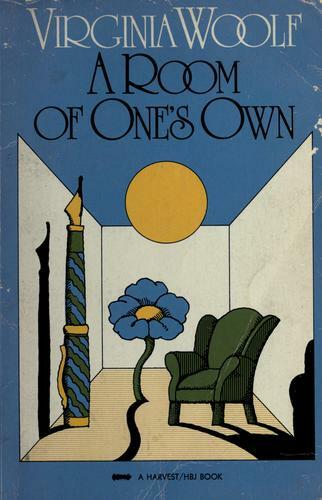 I’m reading A Room of One’s Own by Virginia Woolf, which is her ambiguously narrated extrapolation of women, fiction, and the institution surrounding it. I’m not done, so part of me feels bad for writing my blogs before they, um, hatch? Publish? There was definitely a way to make that funny and clever but I see my opportunity whizzing by. And there it goes. So without digging prematurely deep into Woolf’s novella, I’ll simply let everybody know that her primary argument is that, in order to write fiction a woman must have access to a room of her own. Which is really quite convenient since I’m getting one tomorrow. Of course, I have two roommates and I don’t actually maintain legal residence standing in the commonwealth of Massachusetts (which makes voting more difficult than it should be), but I will be shouldering a good deal of newly found responsibility and independence. So while I won’t truly have a room of my own, and I’m not necessarily writing fiction, I think this is as good a time as ever to embrace Woolf’s contention and move forward with this blog. I think this little website is about to get exponentially more exciting, reader. Make room boys and girls, because I’m back. I’m sorry. That last bit really sounded terrible but I can’t bring myself to delete it. Like, it’s so kitschy the irony is turning into one of those “can’t look away” things. Yeah, it’s definitely staying.